Food is delicious and consistent. Staff is always smiling and on point. Interior is modern and inviting. AND everything is made in house (I know their food rep 😉). I will always recommend this restaurant! My family and I have eaten several times since we’ve moved to Huntley. I like the Tacos and burritos,my wife loves the tamales. The staff is friendly,prices are good. I’m getting hungry just writing this review. I’m a big fan of Taco Locos and have been coming here since they had their old location in Huntley (by the Subway) and I’m an even bigger fan of their new location. The new location is really nice — they’re going for a bit of a Chipotle feel with the metal and wood, but this is no Chipotle. This is more “real” Mexican food. Try the tacos with corn tortillas — the Loco, chorizo, steak, and pork tacos are phenomenal, flavorful, and fairly priced. More expensive than Taco Bell, of course, but exponentially better. They also have free chips and salsa for diners, and some interesting pop on tap (Stubborn Soda) that is incredibly good compared to your stock-standard Coke or Pepsi. Plus Mexican frozen desserts and horchata, if you’re into those too. In the Huntley area, you’ll be hard pressed to find tastier, more flavorful food than here. I have twice eaten here and have enjoyed my selection both times. The service was quick and the server friendly. 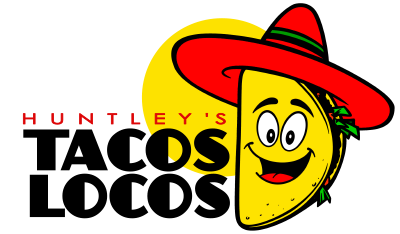 If you are craving authentic, flavor-rich Mexican food, Huntley’s Tacos Locos is the place to go!! They have the most delicious tacos – I tried the tacos locos – Mexican style – with cilantro and onions and they were amazing. They are rich in flavor with just the perfect blend of seasonings and hint of spiciness (they have jalapeños). While I can appreciate a spicy dish, I prefer a medium level and these were perfection. The meat was tender and the tortillas were warm and soft, everything was perfect. Can’t wait to go back and give some of the other menu items a try. The restaurant itself is accommodating to dine in and carry out customers; you can tell it was recently remodeled as it is clean and modern. The atmosphere was inviting and perfect for a quick lunch or a night out – they also have a small bar area. Their service matches the beautiful location and great food, our server was attentive, making sure we had what we needed and were happy with our meal. Well deserved 5 stars, highly recommend this place!! First time here and we loved it!! The food was great and the servings were huge! We also had margaritas that were wonderful! Great value, great place! The staff is also great! We have been looking for good Mexican food since we moved to LITH and we have finally found it! Taco Tuesday from the Lego Movie spurred us to search out Tacos Locos here in Huntley and we were not disappointed. We started a routine and discovered some excellent Tacos. Friends commented they had been going there a lot for the good food. Whether it is the fish, chicken, beef or the special of the day Taco they are delicious. Get them made the way you want and add some hot sauce. People love us and our food, come see why!